David Baer from Minnesota: Are You Watching Fahrenheit 451? Like what the title says, are you watching Fahrenheit 451 when it comes out on the big screen in the next few weeks? I know I am! I’m David Baer from Minnesota and I’m a huge fan of science fiction. Ray Bradbury’s 1953 dystopian classic tells of a time when books are banned and burned. The idea alone was enough to get me interested to read the book years ago, so to see its film adaptation should be quite the treat. Let’s face it; science fiction isn’t the easiest of genres to bring to the big screen. Though Hollywood production has gotten better by leaps and bounds over the last few years, there’s always that small possibility where the essence of the book can get lost in the glamour or trappings of a Hollywood film. The same holds true for Fahrenheit 451. This HBO production stars Michael B. Jordan, Michael Shannon, Sofia Boutella, Lilly Singh, Laura Harrier, Andy McQueen, and Martin Donovan. Personally, I think this is a great cast! Surprising, but great choices nonetheless. I see Michael B. Jordan in the role of Guy Montag. Having played Killmonger in Black Panther, Michael B. Jordan has the acting chops to pull off that pivotal moment when Guy Montag starts to question the burning of the books. Ray Bradbury once remarked that e-books “smell like burned fuel”, likely lending reference to what happens in Fahrenheit 451, where the threat to reading of books is explored. 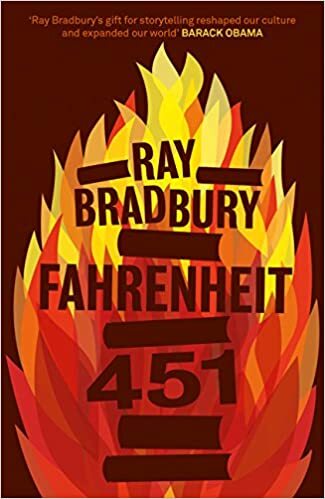 Surely, e-books are better than having no books, but what makes Fahrenheit 451 one of the best titles in the genre is how it can have different meanings and interpretations depending on the signs of the times. Let me know if you’re planning to catch Fahrenheit 451!